All radio stations broadcasting on national and local DAB multiplexes will cease being broadcast via FM by the end of 2015, according to the Digital Britain report (16 June 2009). FM spectrum freed up by the switchover will be used for a new tier of “ultra-local” commercial services and community stations, the report added. Radio licensing legislation needed to enable digital coverage to be extended and to encourage investment by the commercial sector – and the BBC – in new digital content, will be put in place. In the report presented to the House today by Ben Bradshaw, Secretary of State for Culture, Media and Sport, the Government said it recognised the investment needed to achieve the Digital Radio Upgrade timetable will have to be made by the existing radio companies. Currently, new licences run only for three or four years and the Government proposes to grant Ofcom new powers to extend the licence period of all national and local licences, broadcasting on DAB, for up to a further seven years. To achieve the 2015 switchover date, the report proposes the BBC extend its national DAB coverage so it is at least comparable to its FM output. Andrew Harrison, chief executive of industry body RadioCentre, said he welcomed the target date of 2015 and added that the provisions of the Digital Britain report would enable RadioCentre’s members to plan and invest for their future. 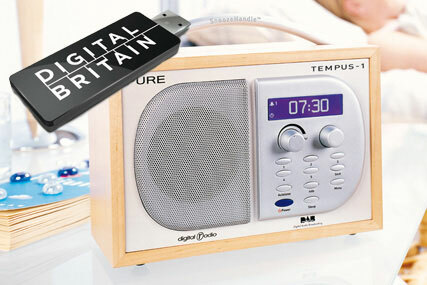 The Government has asked Ofcom to consult on a new map of mini-regions for Digital Radio. In addition, by the end of August, the Government will publish a community radio consultation document, seeking views on changes to the current licensing regime. In the Interim Report, released in January, the Government set out two migration criteria: when 50% of listening is to digital; and when national DAB coverage is comparable to FM coverage, and local DAB reaches 90% of the population and all major roads. In the report released today, the Government said the precise switchover date would be formally announced two years in advance but it was confident it could achieve its target of 50% of all radio listening via digital by the end of 2013. You are currently browsing the archives for the DAB category.